This problem is likely to increase over the weekend due to an increase in predicted winds at upper elevations. Backcountry travelers should exercise caution on steep exposed slopes below any ridgeline feature. Pay close attention to changes in snow consistency and look for obvious signs of instability. Also, the upper 12 to 16 inches of the snowpack consists of very light and unconsolidated snow overlying a thin layer of buried surface hoar. We found this layer to be a very isolated concern yesterday, but a thin wind slab was beginning to form on top of this layer at upper elevations. On Thursday, December 15, my partner and I traveled to Bear Mountain in the Keeler/Rattle drainage. We dug 3 separate pits on multiple aspects where we gathered very consistent results from the snowpack. All stability tests failed at a density change in the snowpack that is seperated by a thin layer of buried surface hoar. The upper 12" to 16" failed with hard force and did not propagate in extended column testing due to the loose and unconsolidated nature of this upper layer. As we traveled across the ridgeline we observed a thin windslab (4" thick) begining to form. This wind slab was not widespread across the landscape and was not reactive to ski cutting. As mentioned in the "Problems" section, I would expect this layer to increase in sensitivity as north east winds further consolidate the upper snowpack going into the weekend. For the winter of 2016/2017 snowpack observations will be performed on Mondays and Thursdays, the "Snowpack Summary" will be posted the following morning. We greatly value observations from the public. 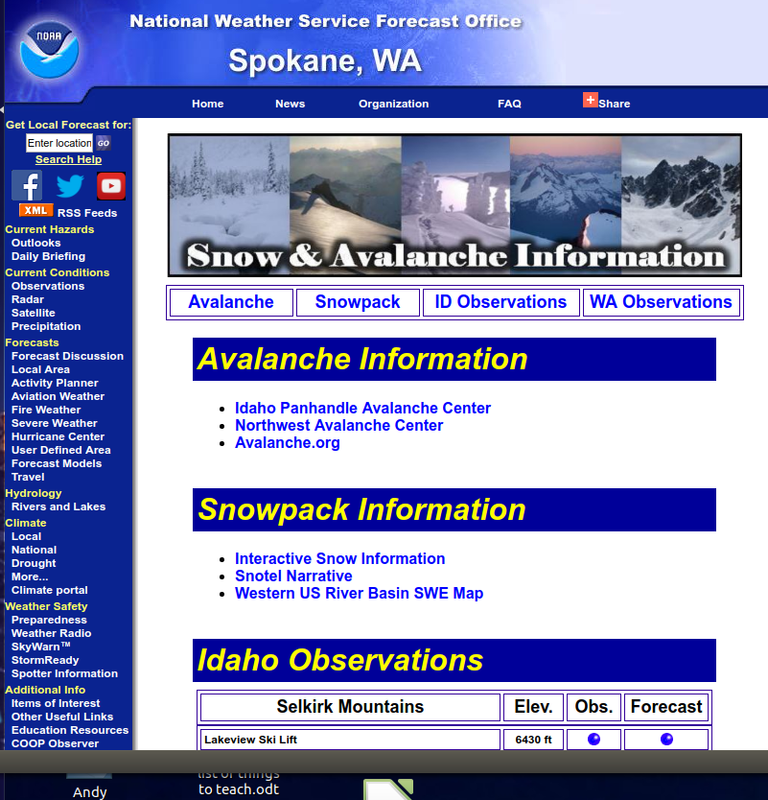 They help provide a more accurate snowpack summary. If you are out and about, we'd love to know what you are seeing. You can click on the links to the left to submit your observations, or simply email fac.admin@flatheadavalanche.org. Remember, observations need not be complex. They can be as simple as "Hey, we snowmobiled over 60 miles in Area A and didn't see any avalanches anywhere, and it was a really clear day." Thanks! 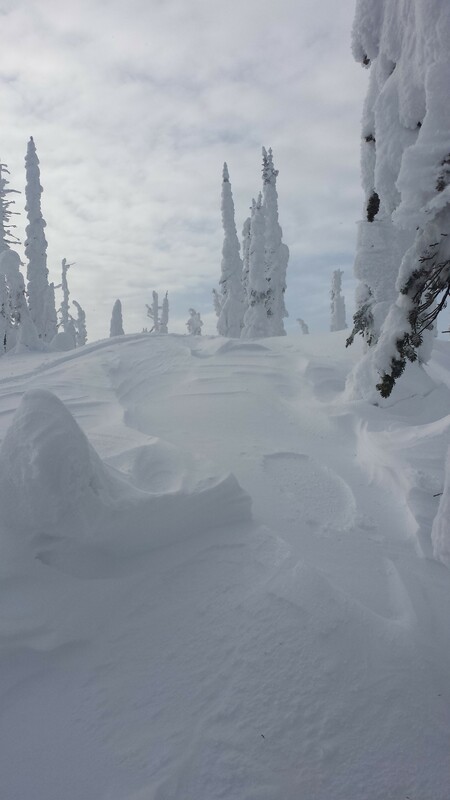 Below are recent observations from the Flathead Avalanche Center advisory area (Whitefish Range, Flathead Range, northern and central Swan Range, and southern Glacier National Park). 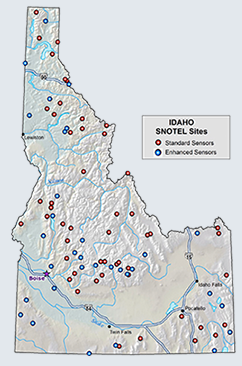 SNOTEL sites on the Kootenai N.F. have recorded low temperatures at 2-3 degrees Fahrenheit and max daytime temperatures of 11 to 14 degrees. Recorded snowfall at these sites ranges from 1-3 inches, yesterdays winds were out of the north east at 1-3 with gust to 8 mph. tonight. An active weather pattern continues through next week.